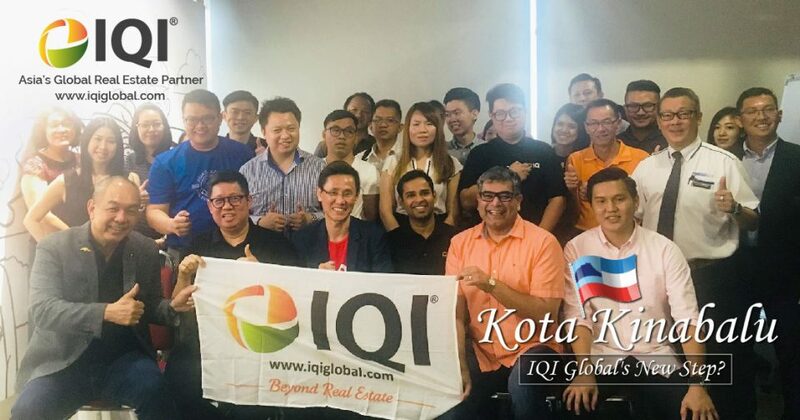 With offices in Kuala Lumpur, Penang, Johor Bahru and Melaka, IQI Global begins a new chapter as they open a new branch at Kota Kinabalu. This is IQI’s first steps into East Malaysia and is part of their global expansion plan. The office opening was celebrated with an event organized by IQI at the Jom Penyet restaurant on 27 June. The new office is located in one of Kota Kinabalu’s prominent locations, Aeropod Commercial Square. The office is 1,600 sq. ft. and will be clearly visible to those travelling to and from the airport. Prices in Kota Kinabalu are very competitive at present and this offers an excellent investment opportunity. When asked why IQI chose Kota Kinabalu, Kashif Ansari, CEO of IQI Global had this to say. IQI has long recognised the investment potential and stability that the ASEAN Region has to offer, which is why it set up base in Malaysia, quickly becoming a trendsetter for real estate negotiators through its professionalism, best practices and work ethos. Find out more about what IQI can do for you. Send us a message at hello@iqiglobal.com or call us at 012-299-6155 or 037-450-6655.